PROYECTA is curated by Sandra Maunac and organised by the Madrid Town Hall. 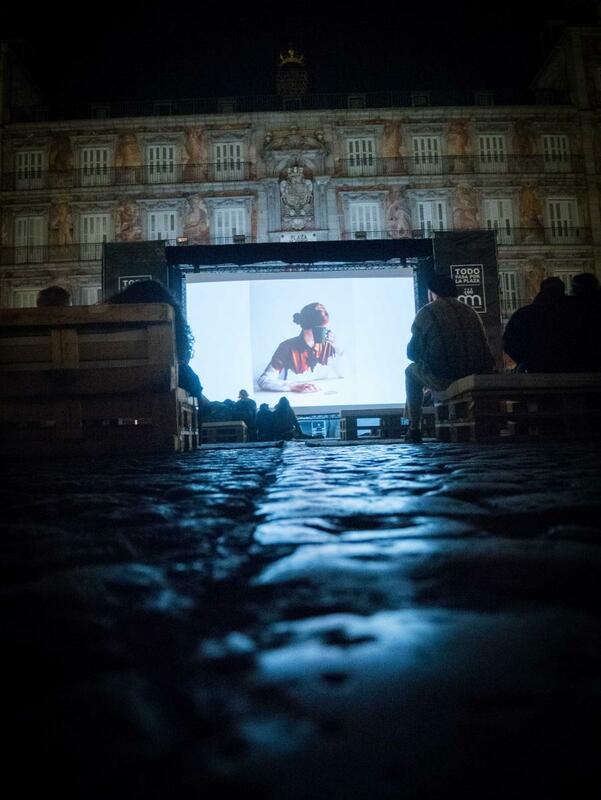 Its main purpose is to become an annual meeting for the projection of contemporaneous images in the heart of Madrid, specifically in the “Plaza Mayor”. 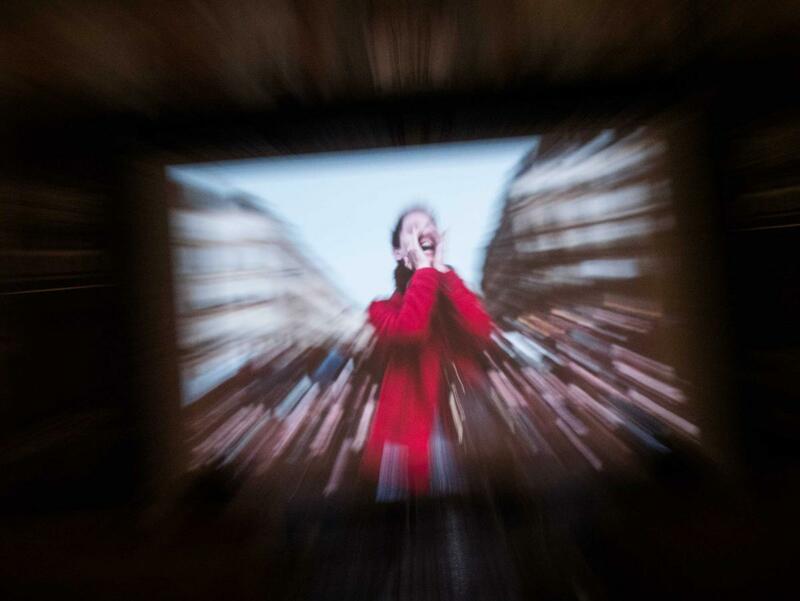 The chosen format, the projection of images on a large screen outdoors, responds to the desire of taking photography to the street, thus highlighting its democratic nature, going out of the white cube and away from its commercial logic. For the first edition, PROYECTA Madrid 2017, that was held on the 20th and 21st of April, we suggested to imagine other possible realms, offering a selection of videographic works by photographers from very different origins. PROYECTA 2017 consisted of two nights of projections with a total of 22 creations of photographers from very different regions. 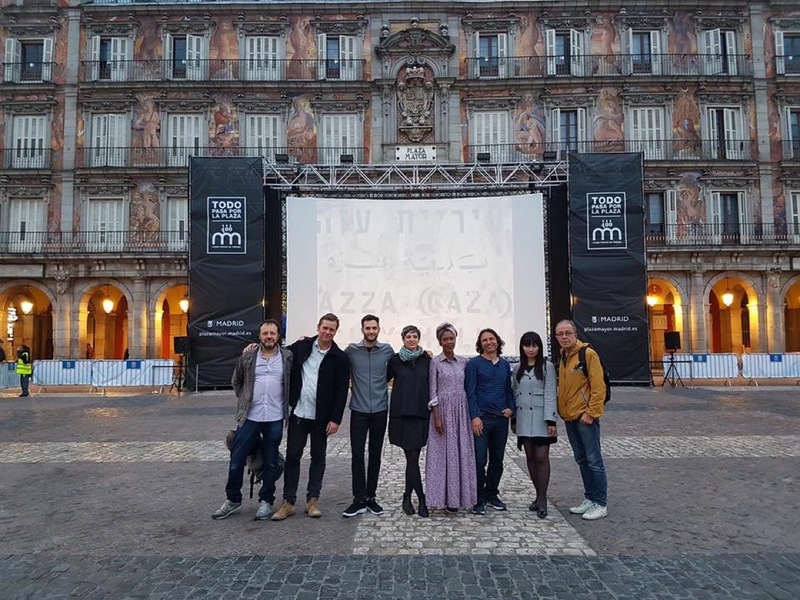 We selected both established authors such as Gao Bo (China), Denis Darzacq (France), Zanele Muholi (South Africa) or Ricardo Cases (Spain) as well as younger creators such as Christian Vium (Denmark), Yuki Naito (Japan) Danila Tkachenko (Russia) or Carlos Alba (Spain). In addition, in order to encourage the medium of projection and to involve the Spanish photographic community, PROYECTA 2017 also launched an open call addressed to photography students throughout Spain. An international jury composed of Alejandro Castellote (Curator and critic), François Cheval (Former Director of the Niecéphore Niépce Museum and currently co-founder and co-director of the Lianzhou Museum for Photography in China), Sonia Berger (Editor of Dalpine), Ricardo Cases (photographer, member of Blankpaper collective), Juan Valbuena (photographer, member of the NOPHOTO collective) and Sandra Maunac (curator), selected two students whose pieces were screened during the two nights of Proyecta2017. PROYECTA 2017 was also framed within the “Forum Madrid Capital of Peace”, a world encounter organised by the Madrid Town Hall. 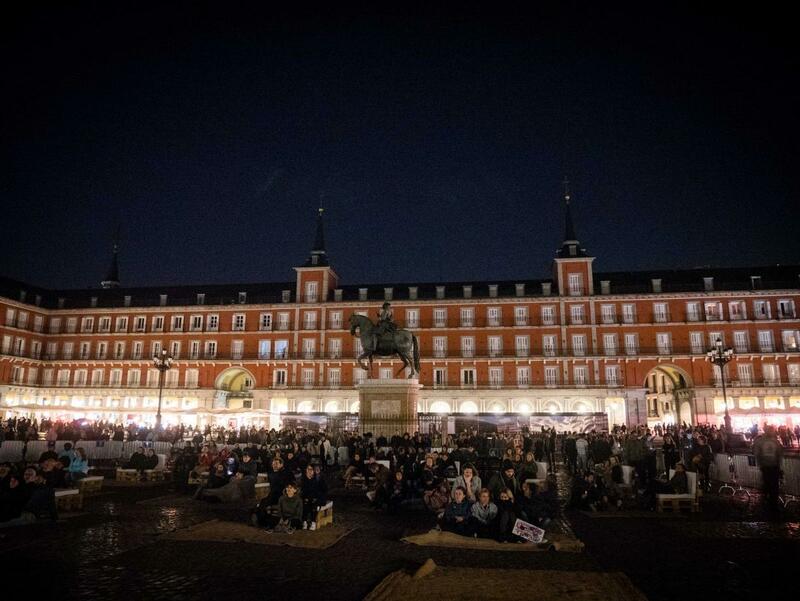 And it took part in the activities organized for the 4th Centenary of the Plaza Mayor. To imagine is to empathize with the other, a fundamental need to build an “us” that does not leave anyone out. 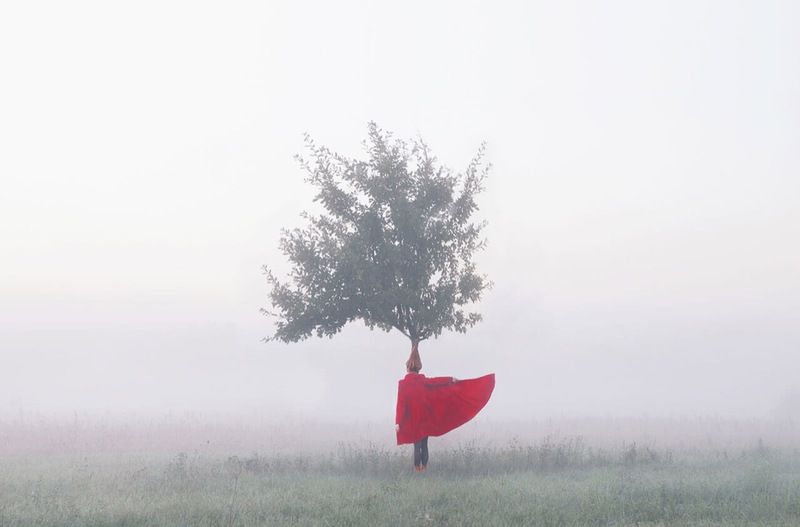 Contemporary photographers, not unconnected to the world we live in, are aware that they have in their hands a powerful machine, fragile and fragmented, but capable of founding multiple realities to share. At a time when the city of Madrid commemorates the 400th anniversary of its Plaza Mayor – a privileged place of meeting and passing, and turned into the capital of peace and coexistence – we want to show the commitment of creators who break the barriers of conventional image to, for an instant, move away from our selves and project our selves into other worlds. The photographers who are part of this first edition of PROYECTA place the human being at the center of their reflections. Humanity is the authentic protagonist of this edition: a show of plurality, wealth, yearnings, impacts, capacities and wills. Our aim is to present in the heart of Madrid women and men, peoples and diverse societies, who cry out for their rights and fight for a better future; beings who resist invisibility and who claim their presence with dignity. To occupy the public space, that belongs to us all, is also to question ourselves about our memory and about the possibility of building a common one; it’s to understand that the other is a limiting articulation and that we must get out of the stereotypes so that borders will disappear. What each of these photographic works show us is that reality only becomes interesting when it is transformed. We try to change the order of perception by converting every day into magic, but above all, granting dignity and creative freedom to give back to citizens the ability to imagine others possible. This is an invitation to travel to multiple realities, which are combined in resistance to established order, to find the force to fly.